Dia Mirza and Kareena Kapoor Khan made our day by giving us sassy fashion goals. They both wore something humble but pulled off their outfits with a lot of aplomb. Their airport fashion statements were enhanced by comfort quotient. 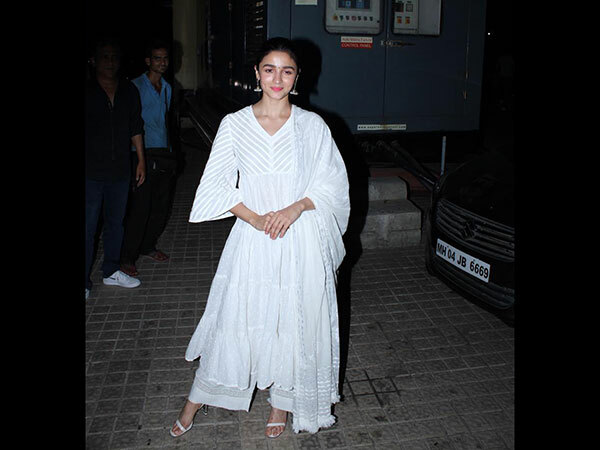 Dia wore a simple white tee, which was accentuated by a graphic print and she paired it with light blue straight-fit denims. The actress teamed her attire with chic brown sandals, which matched with her classy leather jacket. Well, winters are here and this was the kind of style statement we were looking forward to. Dia accessorised her look with complementing shades and the pink lip shade notched up her look. The sleek tresses completed her look. Kareena wore a tracksuit and promoted athleisure fashion. She wore a sky blue-hued sweatshirt and pyjamas. Her attire was contrasted by white and red stripes. She paired her ensemble with white-coloured sports shoes. Kareena carried a pretty big side bag with her. She wore golden frames, pink lip shade, and rounded off her look with a neat ponytail. Well, they both gave us winter fashion goals. But whose airport avatar did you find better?